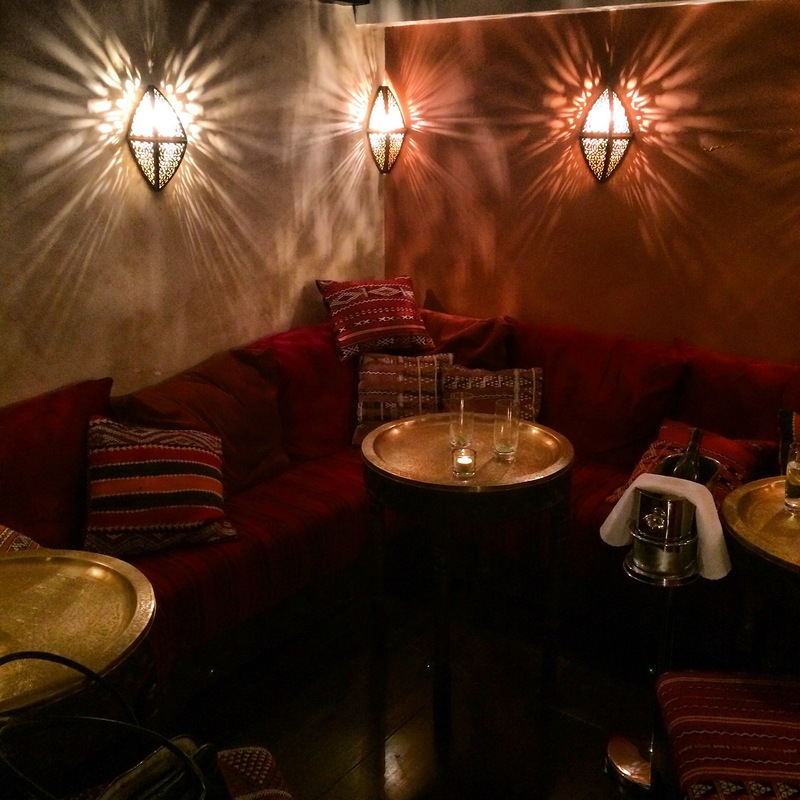 There’s a mix of Middle Eastern classics with a modern spin and a host of genuinely inventive home-grown dishes on the menu. Where else can you negotiate a rock oyster with spiced merguez, hummus with wasabi, or Lebanese seven spiced confit duck? I’m practically chewing my face off by the time the waiter takes our order. Both of our starters were a good size and beautifully colourful. I’ve never come across lamb prosciutto before and was pleasantly surprised by its delicate flavour. 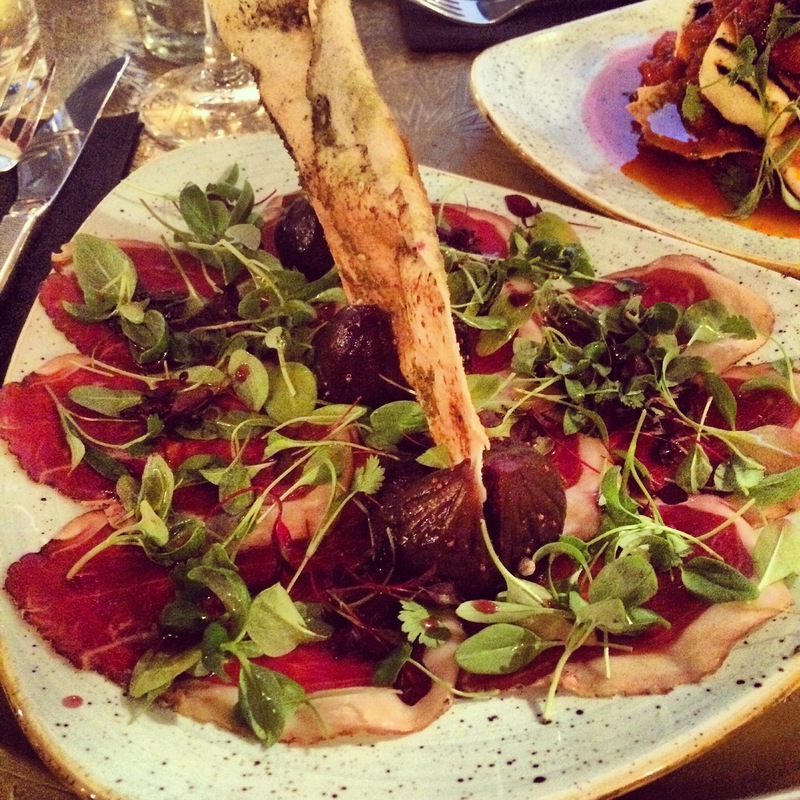 It went very nicely with the sweetness of the figs and the wood sorrel greenery. 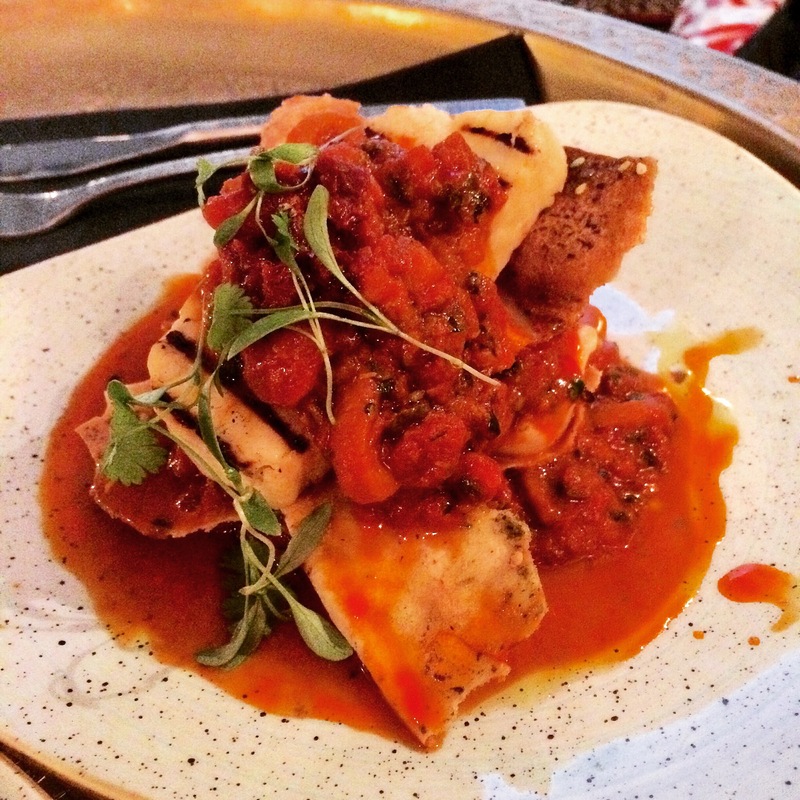 Nobody can resist a fat slice of haloumi with charred grill lines. Nobody I tell you. A puttanesca-y, rose harissa-spiced pepper ragout soaked into thin sheets of za atar crispbread layered in between pieces of the main event, salty grilled cheese of the finest persuasion. A delightful dish from top to bottom. Weirdly it’s only when getting to the true classics that Le Menar slightly drops a bollock. 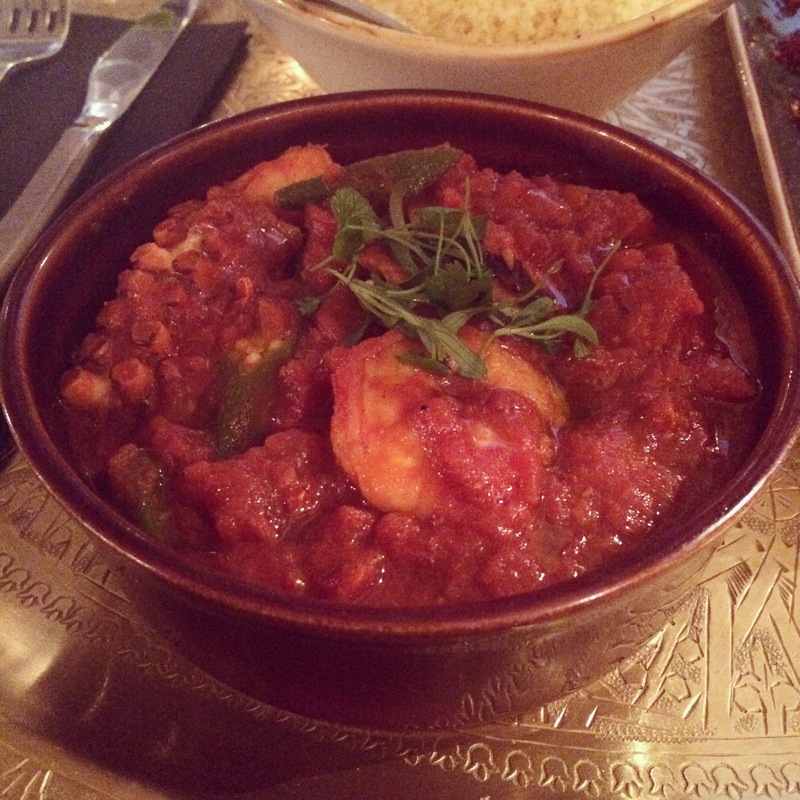 Their octopus tagine wasn’t tight on the seafood, filled to the brim with baby octopus and chunky prawns, but the sauce was under-seasoned and lacked spice. We’re basically talking seafood in chopped tomatoes, or at best a tomato pasta sauce. My Lebanese spiced chicken swooped in like a free-range flightless legend to save the day. Chicken breast was on the bone, both skin and meat perfectly cooked, and stuffed with delicious sweet & savoury flavours that great Middle Eastern food gets so right. 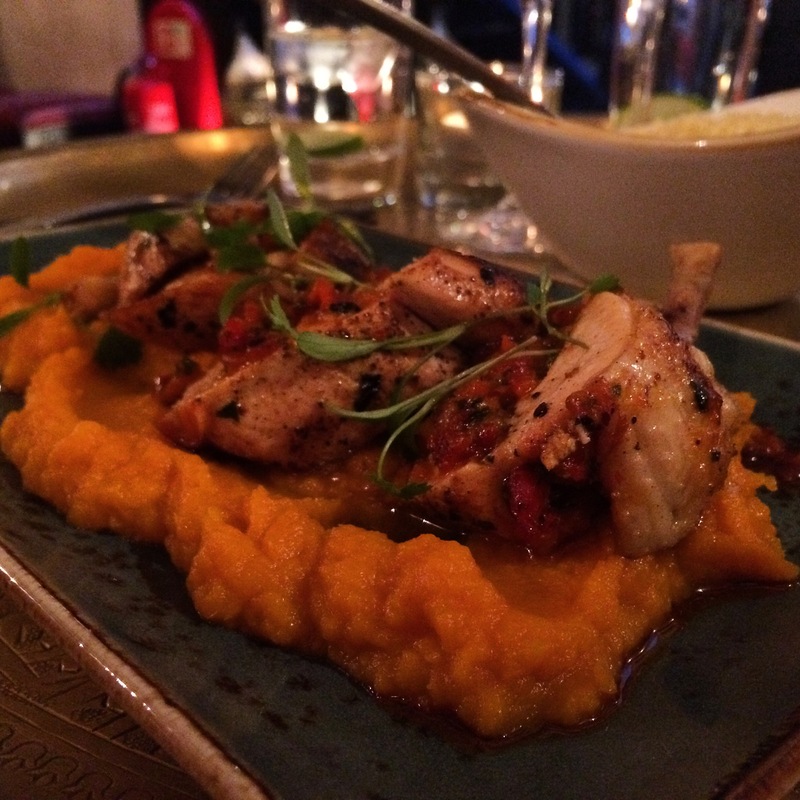 A bed of sweet potato mash was at hand to mop up a harissa-laced sauce. Stick around for desserts. The saffron and pistachio creme brûlée had a satisfying brittle and was rich inside. 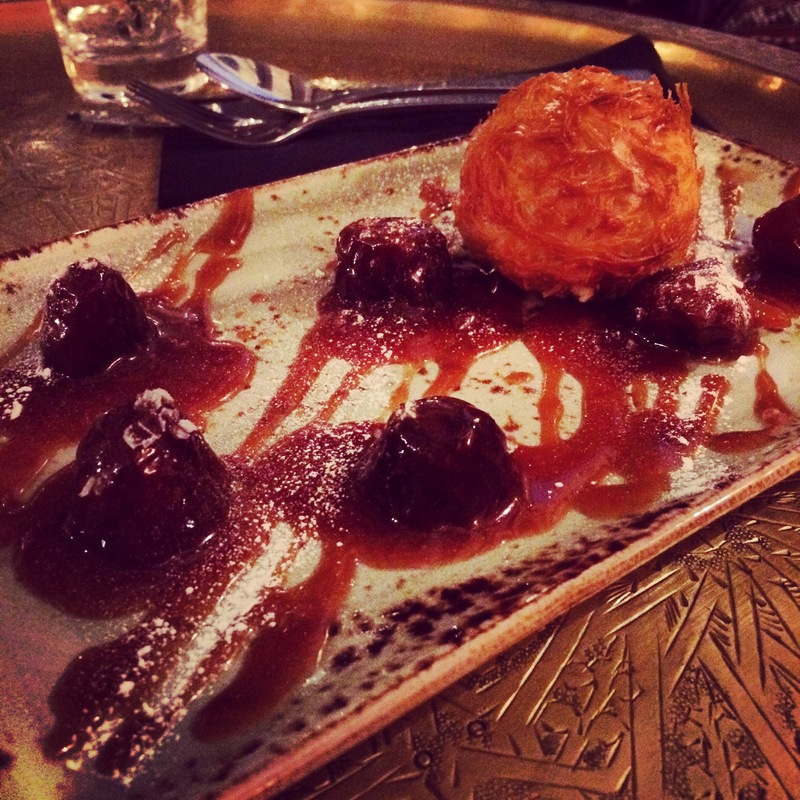 It’s all about the deep fried Madagascan vanilla ice cream though, served with unfathomably good butterscotch medjool dates. Yet another top presentation, it looked incredible on the plate. 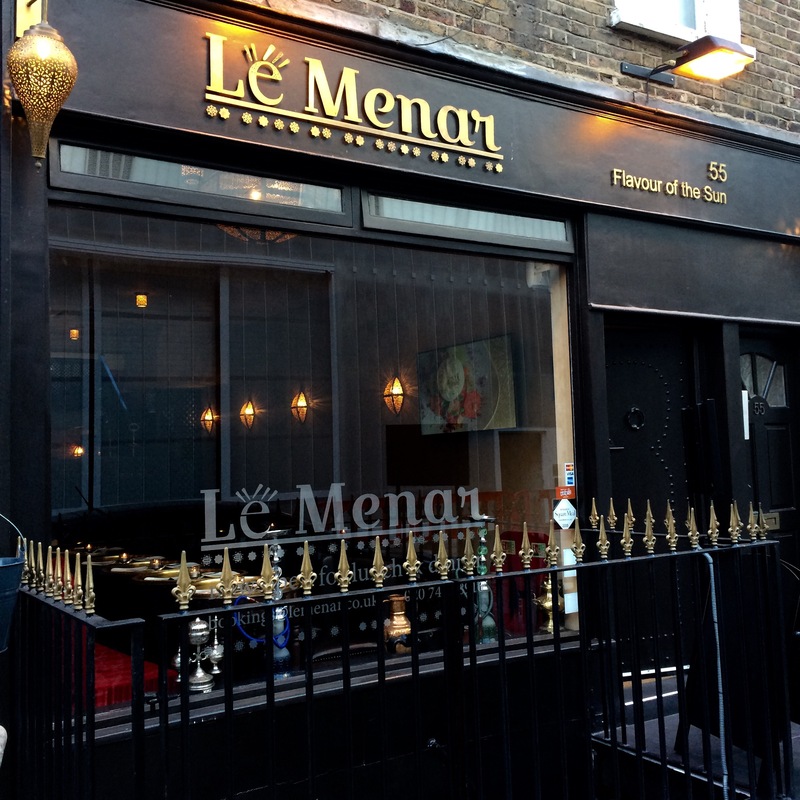 I’ve no idea why more people haven’t been to Le Menar (it has one review on Google.) It’s a crime. If you’ve eaten at somewhere like Momo before the food may ring a few bells, but make no mistake – there’s originality in Le Menar’s menu that allows it to stand on its own two feet with ease. Starters and desserts stole the show for me, so go for a three courser and enjoy the riad tranquility of the place whilst it’s still quiet.